The tougher days of week 2 are now behind us; day 12 is another easy one, at least as far as the route is concerned: The riding day isa short, apart from some smaller climbing it will all be downhill. We should be flying towards the Mediterranean, and should arrive early enough for some extended swimming for those who have mainly signed up for swimming in warm water. 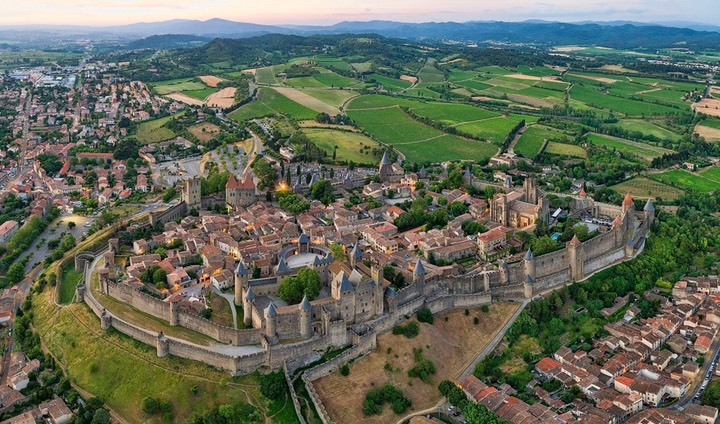 77 km into the ride we will reach Carcassonne, which is definitely worth visiting. The remaining 100 km will be easy so you will have time for an extended stop to sense the atmosphere and architecture of this ancient place. 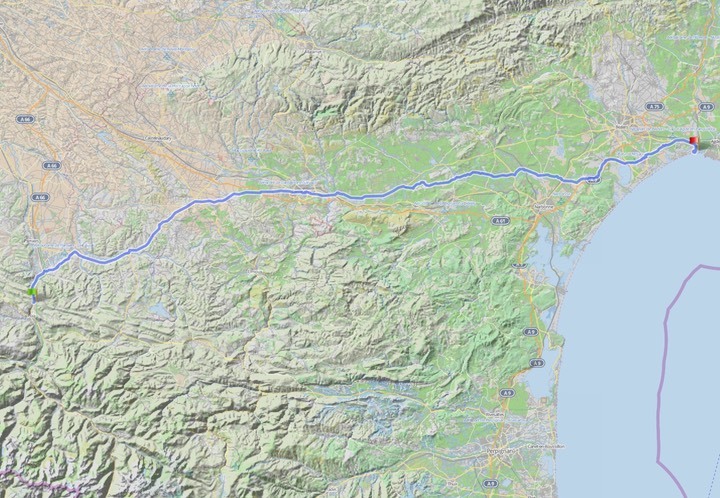 For the afternoon I have chosen a route north of the main road to Narbonne; our’s should have a bit less traffic, but better expect roads to be fairly busy as this valley is the main corridor from Toulouse to the Mediterranean. Once by the sea you will find us in the middle of thousands of tourists. Hotels, apartments and campgrounds will all be buzzling in the summer season. Our destination for the day will be the small village of Vias just outside of Agde (I hope I will manage to get us into that camping, if not there are several others very close by; wish me luck).